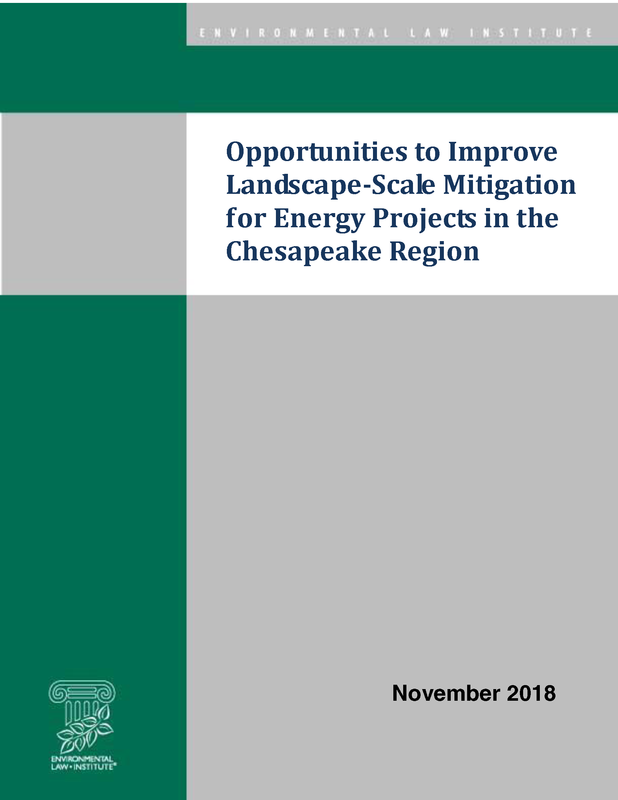 There are numerous applications for large linear energy projects – natural gas pipelines and electric transmission lines – that will affect the lands, waters, and resources of the Chesapeake region. At the same time, the states in this region are experiencing challenges in meeting their goals for conservation of lands, waters, and natural and historic resources. New and revised state-level practices can address the impacts of proposed projects and improve land conservation outcomes. This report identifies opportunities for the Chesapeake Conservation Partnership and its members to advance and improve landscape-scale mitigation expectations under existing laws; and to strengthen or create policies in Maryland, Pennsylvania, and Virginia to advance opportunities to apply consistent requirements for land conservation at scale with net benefits to the watershed. This report also examines similar issues that affect siting and mitigation of new commercial-scale solar and wind electric power generating facilities in the region.